STRATACACHE, a leading provider of scalable, high-performance digital signage, media distribution and enterprise video acceleration technologies, and number #2 in The Top 25 Digital Signage Software Vendors list announced today the acquisition of a supermajority control in Scala Inc., number #5 in the same list. This deal combines the largest U.S. digital signage company by revenue with probably the best digital signage brand in the industry – and one with a huge global footprint of VARs and a very nice business in Europe. At first glance, this does seem somewhat of an ideal mix, with both companies being able to provide significant operational synergies and allow both firms to deliver enhanced solutions and services to customers across the globe. STRATACACHE’s strong balance sheet and large-scale operations will likely enhance Scala’s competitive edge – and Scala’s global channels and significant reseller and partner network will fuel STRATACACHE’s growing business outside of the United States. The acquisition will, no doubt, directly benefit the Scala dealer channel – we understand that STRATACACHE has already committed additional channel investment and resources that will broaden the scope of offerings for said reseller channel and help them sell more solutions. It is hoped that together, the two companies will increase the value for customers by delivering richer and more comprehensive solutions to engage customer experiences across multiple digital platforms all around the world. 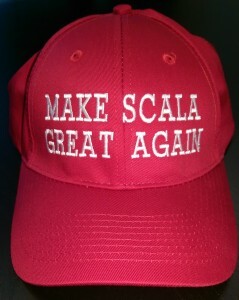 One thing is for sure, Scala’s North American partner event at their new offices in Malvern, PA during New York Digital Signage Week is going to be an interesting and lively event! This entry was posted on Monday, August 15th, 2016 at 06:15 @302 and is filed under DailyDOOH Update. You can follow any responses to this entry through the RSS 2.0 feed. You can leave a response, or trackback from your own site.